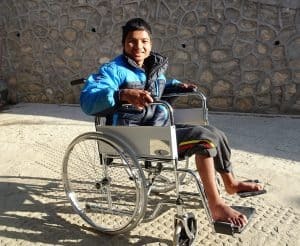 Nepal Healthcare Equipment Development Foundation (NHEDF) is a registered not-for-profit organisation founded by the most wonderful biomedical engineer in the whole wide world called Samrat! It is registered with the Social Welfare Council in Nepal which means it is subject to government requirements facilitating good governance and transparency. NHEDF used to be a not-for-profit organisation recycling broken biomedical equipment and returning it to hospitals and individuals in working order (hence the name). 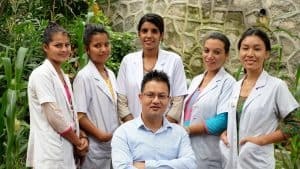 That all changed after the devastating earthquake in April 2015 and it evolved quickly into a medical facility but the name stuck, and because NHEDF is so well-known in Nepal, Samrat is reluctant to change it. How did NHEDF start? 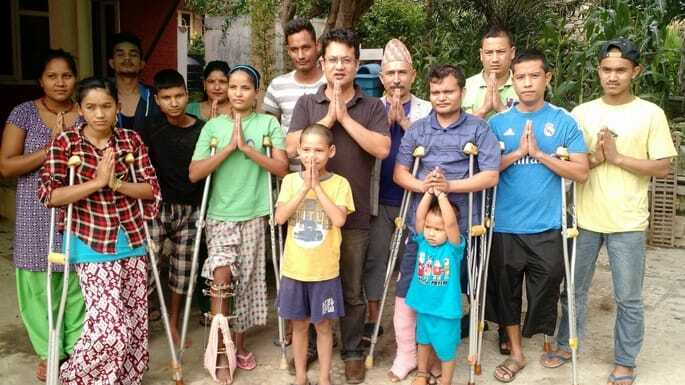 After the earthquake in 2015, NHEDF forgot about repairing broken biomedical equipment and the Shelter became somewhere for injured people to receive ongoing medical attention when they were discharged from hospital way too early to make way for others. . NHEDF’s Shelter filled a gap which its committee thought would be temporary, but their reputation grew, thanks to the fantastic work they were doing, and today patients still keep coming because they cannot afford medical care and have no one else to turn to and nowhere else to go. What does NHEDF do? NHEDF improves health outcomes by facilitating medical and surgical intervention, and providing nursing care, physiotherapy and rehabilitation services for people, including women with fistula. 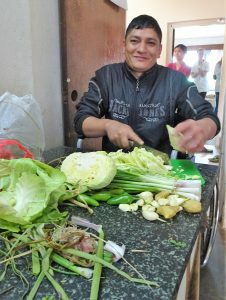 All patients have experienced life-changing injury or illness and are unable to access medical and rehabilitation services due to poverty. 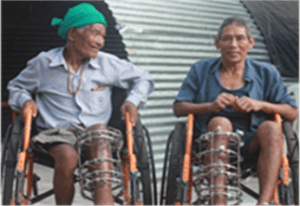 How does Roads to Rehab Nepal support NHEDF? We support NHEDF’s work in many ways. Our Nurse and Physiotherapist Sponsorship Programs pay the wages of their nurses and physiotherapist; we fund as much as we can of NHEDF’s pharmacy bill; we help out with the costs of patients medical and surgical treatment and provide mentorship, advice, ongoing professional development for clinical staff, and help with other activities of their organisation, and… we have to confess, between us we have been doing a wonderful job! So far, since the earthquake, close to 600 patients of all ages, ethnic groups, religion, caste and gender have been through NHEDF’s doors. How does it work? 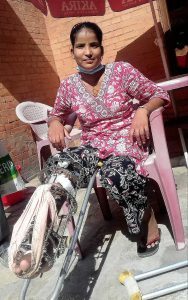 NHEDF receives referrals from individuals or hospitals throughout Nepal. Patients who meet admission criteria are either admitted directly, or are already in-patients in hospital and are discharged into the care of the Shelter. A multi-disciplinary team, including two full-time nurses and a physiotherapist provide around the clock nursing care, physiotherapy and rehabilitation services in a professional, nurturing and caring family environment. 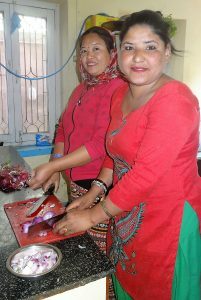 Each patient is required to be accompanied by a carer, and it is these carers who look after all the practical aspects of the Shelter – cooking, cleaning, shopping etc leaving Samrat, NHEDF’s Director, to negotiate the many challenges of coordinating patient care and running a sixteen to twenty-bed facility (with bed numbers being determined by funding) that relies solely on donations. He does an amazing job! Your support can change the life of a patient at NHEDF’s Shelter who has experienced life changing injury and has no one else to turn to and nowhere else to go.